Last of the Living (not to be confused with the film of the same name) is a compilation of short zombie stories written by David Moody (author of the fantastic Autumn and Hater horror series). The stories have mostly appeared in various forms elsewhere though the first and last ones are revealed for the first time here. There are eight tales of zombie apocalypse here all written in the style that Moody has come to be known for. 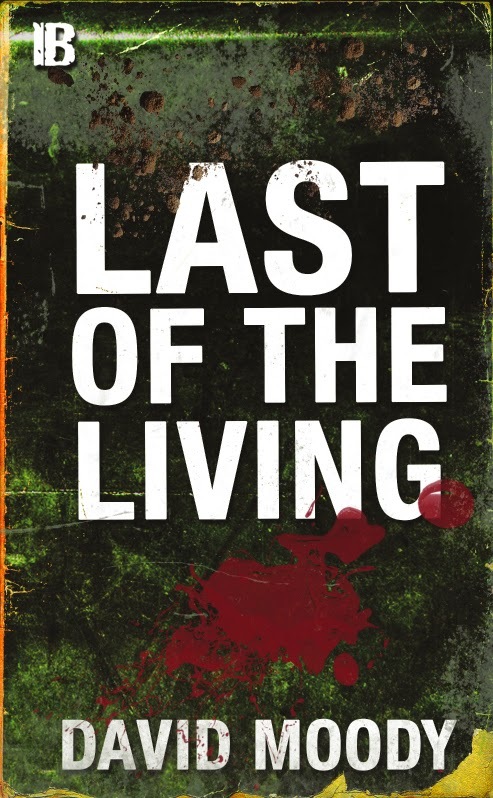 The title Last of the Living is fitting as each story only deals with a handful of people rather than large groups, each goes along a similar path with various causes and alterations for the demise of mankind featuring. Each of the stories has a preface by Moody explaining how he come up for the idea of it, and these introductions are actually really interesting, kinda fascinating to read his inspirations and constraints for them all. As always he writes characters that are at once both flawed and fleshed out, he always shines more when there is more space to delve into a characters thought process. Reeling from his introduction where he stated his desire to leave the zombie genre alone (fair enough of course!) I settled into first and longest story The Cost of Living. This was one of three different versions of the same story and Moody's third attempt at the story he wished to write. After an outbreak of a disease that is spread by victims being compelled to attack non infected Stuart decides to turn his home into a fortress, his family being the most important thing to him. As his estate gets surrounded by thousands of carriers it starts to seem that his fortress is actually a prison. This story is from the perspectives of Stu, his wife Gabby and his teenage son. Their inner thoughts and feelings were great at showing other characters in less favourable light than their thought processes during their chapters would suggest. Without spoiling anything there was quite a powerful moment that really knocked me for six! The next story Priorities is an earlier attempt at the same story, while next simply titled Flash Fiction Version is again a shortened version. It was interesting to see how he was able to evolve the tale and his final version is definitely the best of the trio but at the same time I was concerned that this was the format the whole book was going to follow with just different versions of the same story over and over again. This proved to be false though as from that point onwards each one was totally different. The fourth story was titled Isolation, I was pleased to read that originally it had been planned as a short story set in the Autumn universe, while it had been altered to be its stand alone thing (mostly in that the infection immediately makes the dead rise rather than a few days later) this very much fitted. The usual tropes of an Autumn short story are present here with a deluded main character who you can just see is going to end up defeated by his own hubris. The two main characters of Keith and Anna very much felt like the character Webb from the main Autumn series split into two characters. The fifth and sixth short stories both played with the idea of undead Armageddon in different ways. The former Who We Used to Be plays with the idea of just what would happen if everyone on Earth suddenly died and came back to life as walking corpses but with all the intellect and reasoning they formally had, Sixth story Tightropes settled on the idea of what would happen if the apocalypse happened but it didn't actually cause the destruction of mankind. There were really compelling comparisons throughout of the fine line between keeping order and losing it all as a society and a more intimate one of main character Dale's attempts to end an affair that could destroy his family if he was found out. Penultimate story Murial was Moody self censored, even with censoring this was still a solid little tale that had me actually laugh out loud at the end. The final one of the book Wish I Were Here manages in just four pages to make a sombre and doomed story that I feel will stick around in my head for a while with the endless purgatory it portrays. From a strange start Last of The Living soon picks up, while some of the eight contained here could be seen as slightly predictable it is that which often engaged me as a reader, following a flawed character to their logical tragic conclusion is always a joy to read and there were for certain more than a few surprises. 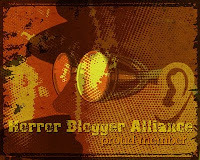 As always if your a fan of zombie fiction then Moody's books should be considered an essential read.